Producer and distributor FremantleMedia has joined forces with Shanghai Media Group’s BesTV and China Media Capital to create a new China-based division that will make entertainment formats for the local market. The new division will be based in Shanghai and develop original content for the Chinese market. FremantleMedia will sell the resulting formats internationally. FremantleMedia has sold 20 formats into China to date, including Got Talent, Idols, The X Factor, Don’t Stop Me Now, Take Me Out, Hole in the Wall and Family Feud. 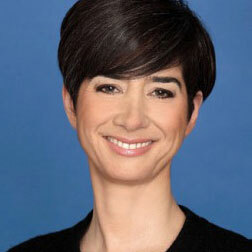 Cecile Frot-Coutaz (pictured), global CEO of FremantleMedia said: “The Chinese television market is rapidly becoming one of the most important in the world. This new relationship with BesTV and CMC allows FremantleMedia to build on its existing presence in China and strengthen our ties in this territory. SMG-backed BesTV is a media conglomerate that produces, distributes and has an OTT platform. Wang Jianjun, president of SMG said: “We envision BesTV to be a new media conglomerate after the restructuring and China’s foremost OTT service provider. It will build a new media eco-system in which BesTV straddles content production, distribution channels, and products and services.